For me Rotary is a great way to be involved in the local community, while meeting other likeminded people, making friends, and knowing that we make a difference. If this is of interest to you do not hesitate to contact us today, and come along and make new friends and be involved in your community also. Rotary is made up of three parts: at the heart of Rotary are clubs that are supported by Rotary International and The Rotary Foundation. A relatively young club, chartered in 1977, Kapiti Rotary is well known throughout the Rotary and Kapiti community as an active, vibrant and fun club with a diverse well connected membership. We welcome new members who are community minded and don't mind a bit of hilarity. Call our Secretary to try us out at one of our weekly meetings. Our meals are renowned, our guest speakers interesting and the fellowship is fun, if not a bit boisterous at times. We don't have any weird rituals or secret dogma! The club has undertaken some great projects over the years, like the wetlands restoration at Otaihanga Domain, the development of the Senior Citizens Hall at Paraparaumu Beach, contributing to the beautiful cycleway / walkway at Paraparaumu Beach, supporting the Cancer Society in the Relay for Life, and the support of a hospital in remote area of Kailakuri, Bangladesh. We support one of our members who regularly gives up two weeks of his year to provide dental services to the outer Fijian Islands, and another to the development and ongoing support of a junior school in Botswana. All in the name of Rotary. We have supported the Nepalese Earthquake Relief effort through a Nepalese Rotary Youth Exchange Scholar we hosted in 2004, and are about to initiate a major appeal for the restoration of an remote historic village in the upper Kathmandu Valley. Our support to disaster relief is ongoing by way of the outstanding Shelter Boxes organisation. The club primarily focuses its charitable efforts supporting Kapiti's youth for Kapiti Youth Support, Youth Quest and Life Education Trust. We raise funds for these causes through an annual golf tournament, trailer raffle, various auctions, helping events and the kind donations of the public and members. We also support the Mary Potter Hospice, Kapiti's Emergency Medical Service, Wellington Free Ambulance. Kapiti's Foodbank benefitted by over 250 boxes of food in 2015 through the efforts of the club's volunteers on the collection day. 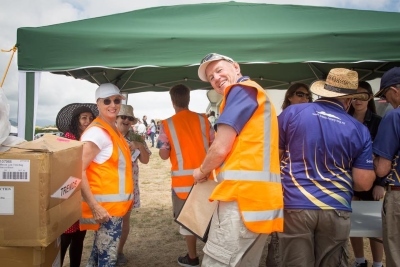 In the past Kapiti Rotary has organised a Fun Run for primary school children to raise funds for one off projects on their schools; a Food Fair; two day mountain bike adventure and Pride of Workmanship awards for employees of local businesses who display outstanding work ethics. Most years, the club is hosts an international student and sponsors a local student overseas through the very enriching Rotary Youth Exchange programme. We continue to support Kapiti's youths to Outward Bound and Rotary facilitated leadership and science programmes. But it's not all work. We have lots of fun. An annual fishing/ golfing/ adventure weekend; Robbie Burns evening; debates; petanque, bowls and golf competitions; excursions to the footy, film previews; tramping; cooking school and cultural evenings are some of the fun things we get up to. Our weekly meetings can be outrageous entertainment, from the sergeant's session of yarns, lame jokes, and fines for anything that may take his fancy, to some of our resident comics and miscreants playing up. We love to include partners, children extended families and friends in weekly meetings and extra curricular activities, like Guess Who's Coming to Dinner and visits to the theatre. A great way to get to know each other is through the various committees meetings at members homes, where some project work gets done too. 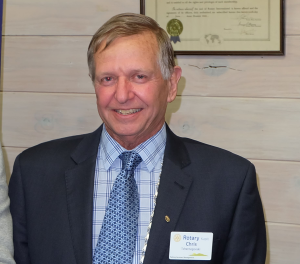 Kapiti Rotary is for active business and community leaders who enjoy the fellowship of others and who want to make a difference in their communities.